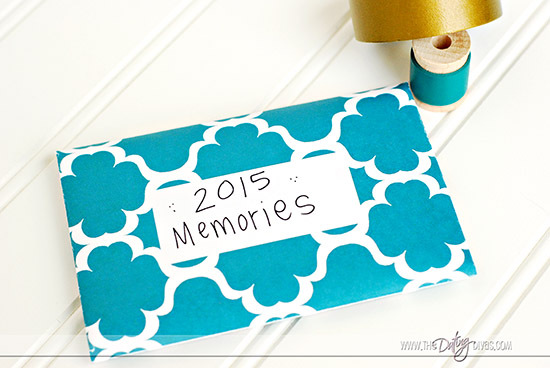 New Year’s Eve is a time to reflect on the past year and remember all the good times! 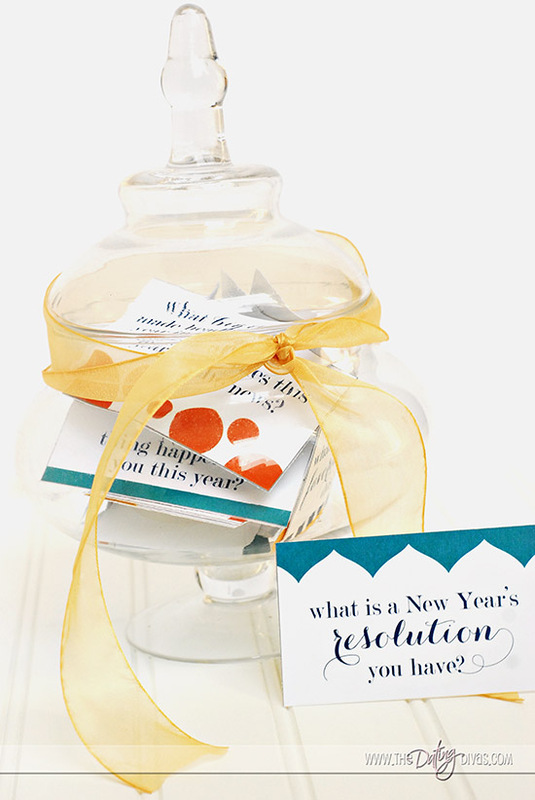 This New Year’s Eve Reflection Game is the perfect way to reflect this holiday either as a couple or as a family! Last year for New Year’s Eve my husband and I enjoyed a quiet night in – just the two of us. While we definitely love a good party, we wanted this year to be an evening of reflection as a couple. 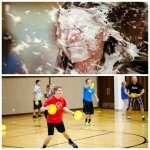 Of course we had to make it fun – in the form of a game! 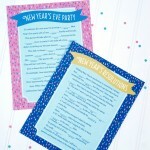 So, we created this New Year’s Eve Reflection Game! Then, with the help of our Diva Designer Kristin from CdotLove we now have a game that is both a fun activity and a keepsake for years to come! 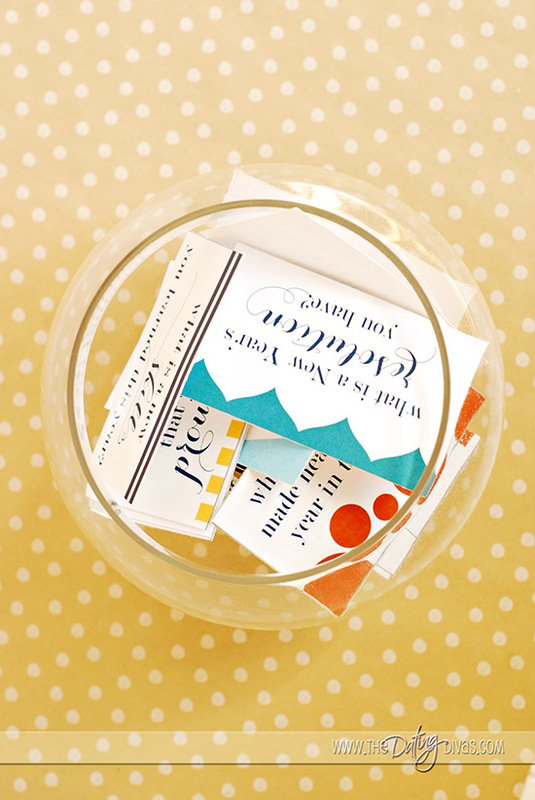 Add the question cards to a bowl and mix them up! 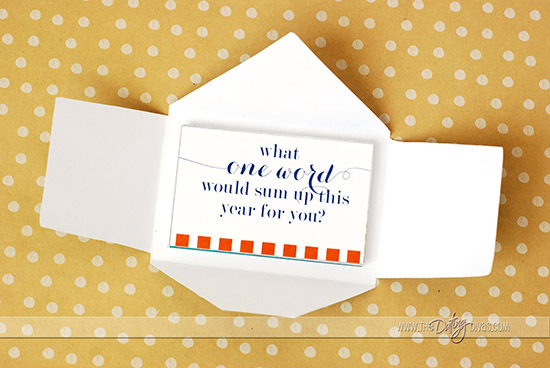 Take turns pulling a card from the bowl and reading the question out loud. Everyone can then take turns thinking of their answer and sharing it! 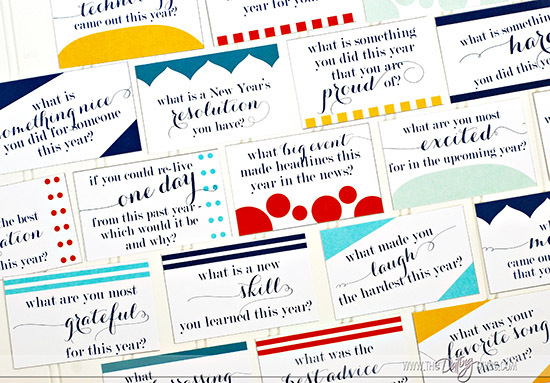 While the cards have a variety of questions, each prompt should require you to think back on the past year in a way you might not have before! Flipping the card over, you can then record your answers to the question. 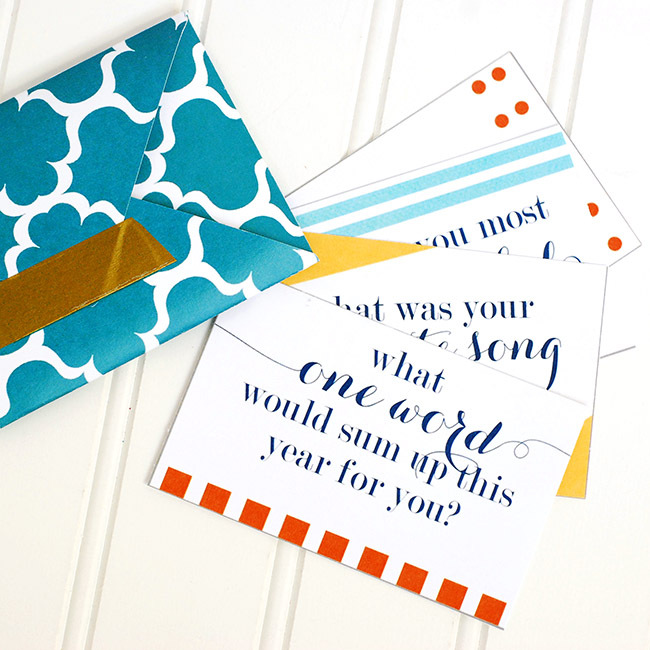 Finally, you can use our printable envelope to keep all of your question cards (with your answers written on the back!) as a keepsake to remember the year! Think how fun it will be years from now to open up past envelopes and see how things have changed! 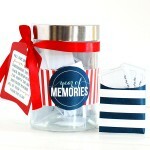 This is a tradition you can do year after year and collect your memories over time! You could even keep the envelopes in some sort of time capsule! What do you think? A new tradition for your New Year’s Eve festivities? 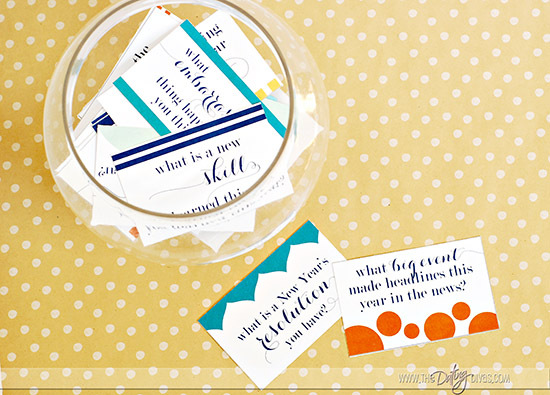 To get your free printables, created by the talented Kristin from CdotLove, click the link below! 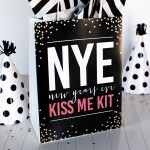 This would be a fun New Year's Eve activity to include with these fun Countdown Bags! I’m so excited for this! 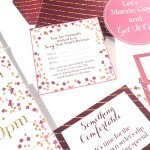 I’m printing out two sets to take to our bestie’s NYE party. They’re excited as well! I hope your NYE party went well! We just did this game last night and had so much fun! Hope you did too! Just used your awesome reflection cards for a Army reception all the way in Daegu, South Korea. 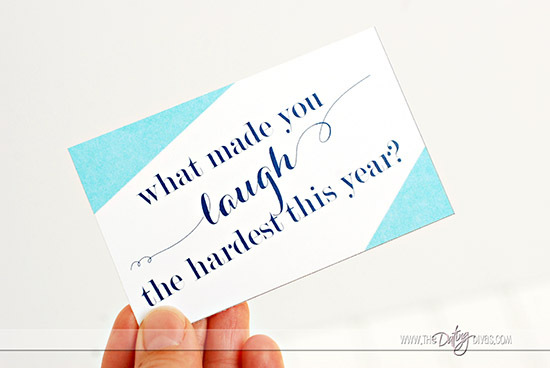 Because of the type of event, we had everyone just pick a card and share their answer with the group. Great team building exercise. Thank you so much for sharing. Thank you so much for sharing! I am thrilled you were able to use this for your event! I love your new years eve reflection game. Thank you for your sweet comment! We do this every year and love it too! Happy New Year to you and your family! We did this in 2015 and then again in 2016 (I’ve also printed out several copies for years to come). My honey complains about the questions and doing them at the time but he did enjoy going over last year’s questions. 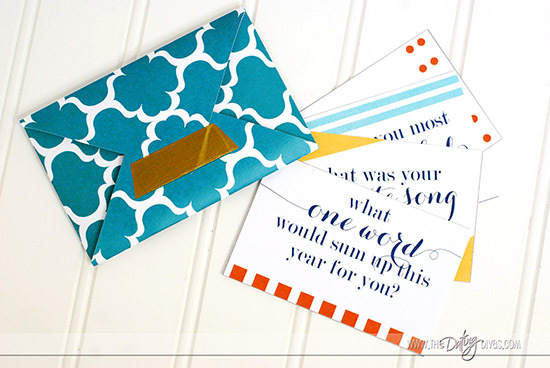 Thank you for such an awesome printable! Thank you for sharing! This was my second year doing this too and we loved reading our answers! Hello, does the link no longer works? I am so sorry for the difficulties. If you would like I could email you the pdf while we try to figure this out.Let me know if that would be helpful!